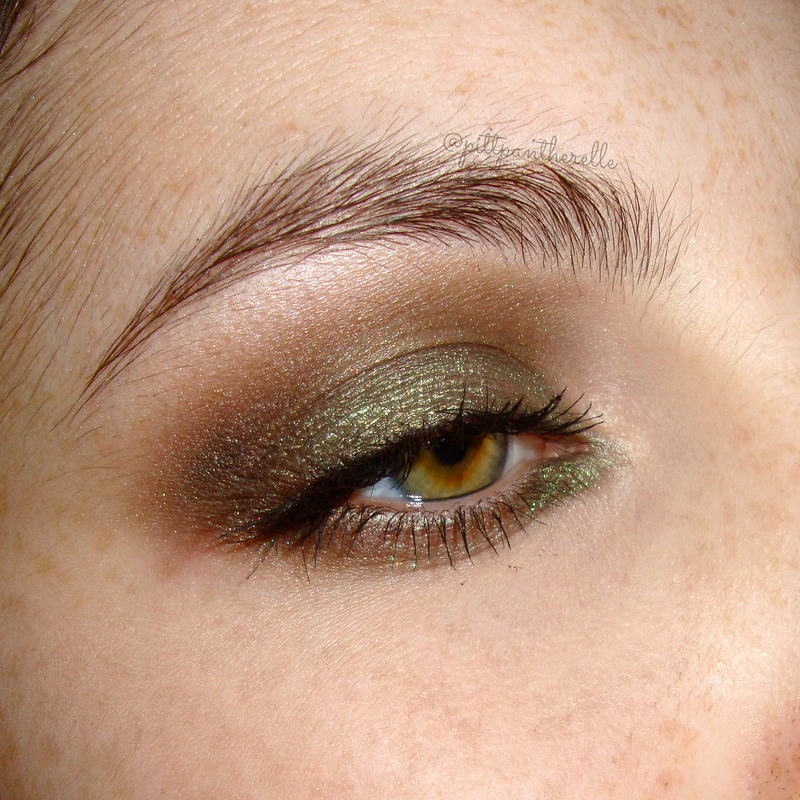 Today, I am doing a simple smokey eye using ONE eyeshadow. Yes, one eyeshadow was used for this whole entire eye look, but if desired, you can add a transition color and a highlight to the inner corner and browbone. The trick is when and when not to use your brush wet because it changes the intensity of the duochrome shimmer. If you want something quick, simple, yet still sultry, this is for you. I recommend using any darker duochrome colors you want but the eye product I used is Diggy, Diggy Hole by Shiro Cosmetics. (OPTIONAL) I added a transition color and used UD Naked. Wet your brush with water or MAC Fix+ until it is damp (not soaking wet) and pat the wet shadow on your lid. Wetting it will intensify the duochrome shimmer. Use a dry Real Techniques base shadow brush (MAC 217 equivalent) to apply the color to the crease. Use a MAC 219 to apply the color 3/4 the way on the lower lash line. Wet that same brush and apply the eyeshadow to the inner 1/4 of the lid. Use the same wet shader brush and pat on your lid to re-intensify the duochrome shimmer. You may nee to re-wet the brush so that it is damp (not soaking wet). Add mascara and optional highlighting shades and done! I hope you (and my lovely exchange partner) enjoyed this look and if you recreate it, #pittpantherelle me on Instagram. I would love to see it! Oh this is pretty! I'm going to have to try this out!